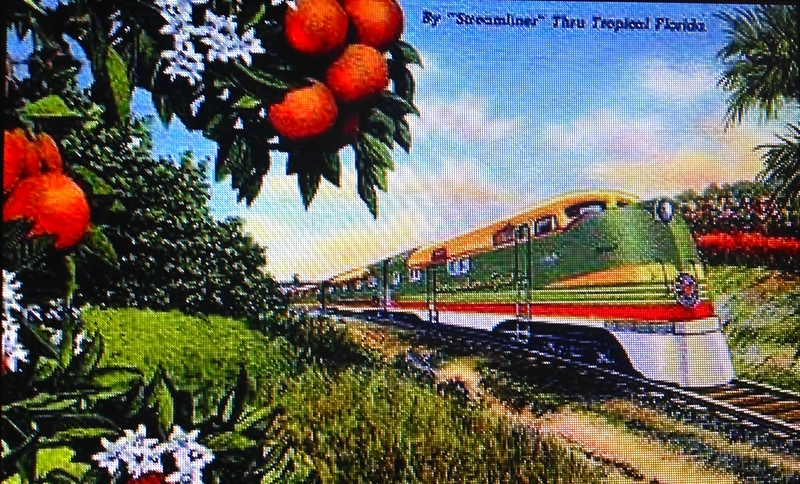 Lately, rail travel has been on everyone’s mind here along the Treasure Coast, as the controversy and indignities of “All Aboard Florida” play out. The power and transformation rail brought to the state of Florida is legendary, especially in the history of Henry Flagler’s East Coast Railroad. 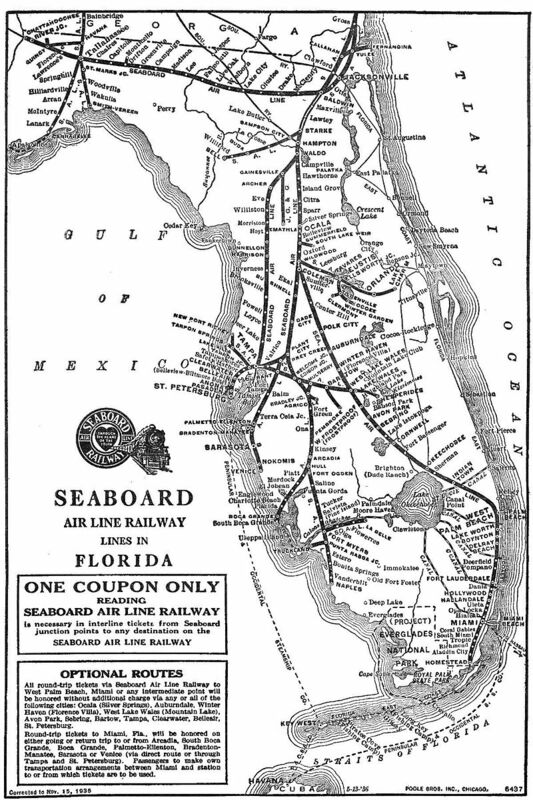 A lesser known entity that was perhaps equally competitive in its day, is Sea Board Airlines, a rail company whose history had a collision with Indiantown, Florida, in western Martin County, right in the area of Lake Okeechobee. 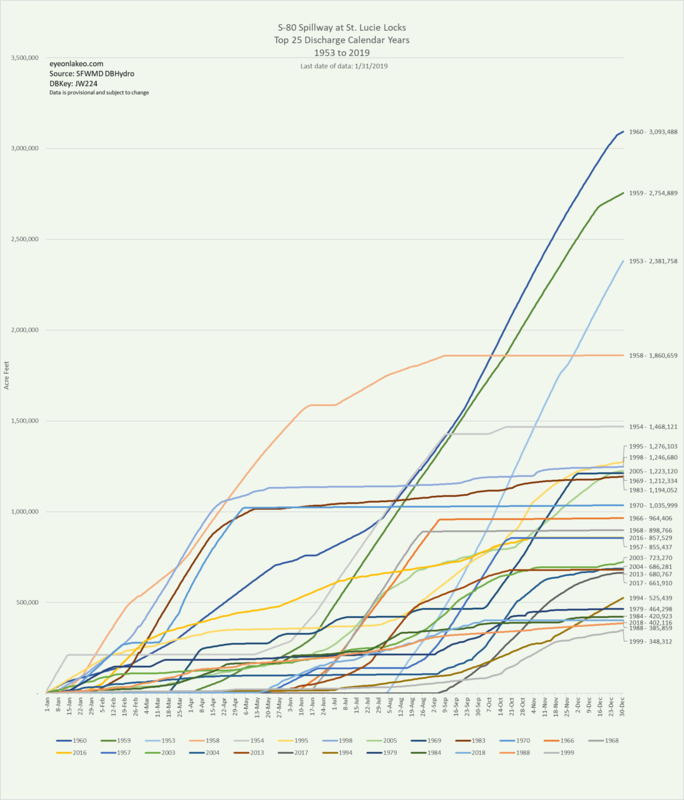 If fate had just tracked a bit in the rail line’s favor, things could be very different today…. In 1924, Mr. Solomon Davies Warfield, amazingly related to the soon to be and iconoclastic Duchess of Windsor, became CEO of the Seaboard Air Line. 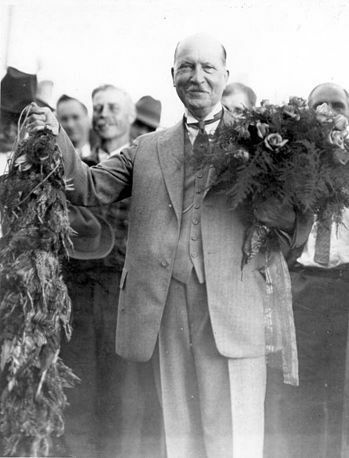 He began building a 204-mile track extension, called the “Florida Western & Northern Railroad,” from the Seaboard mainline in Coleman, Florida, ( just northwest of Orlando in Sumter County) to West Palm Beach. 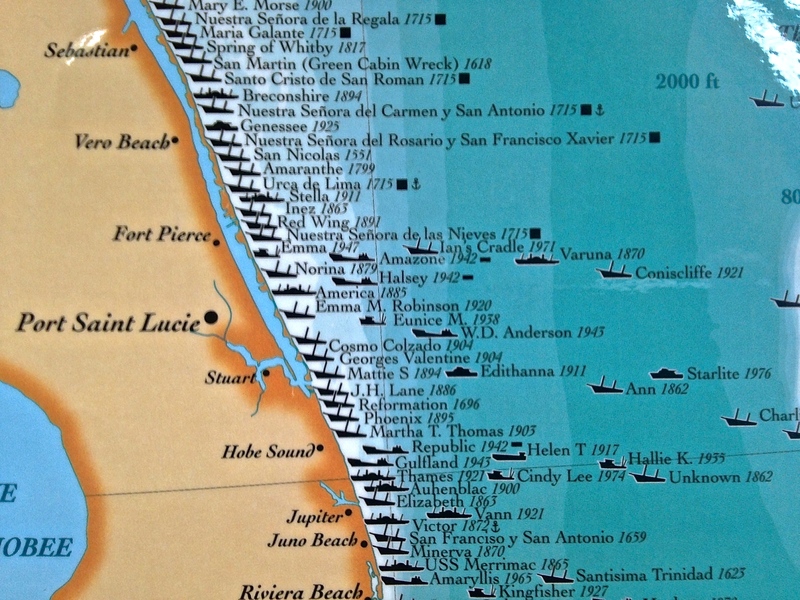 Previously these locations had been the exclusive domain of the Florida East Coast Railway. The Seaboard extension ran through Indiantown, which Warfield planned to make the new southern headquarters of the Seaboard. Many life changing things were happening in our region in the 1920s. 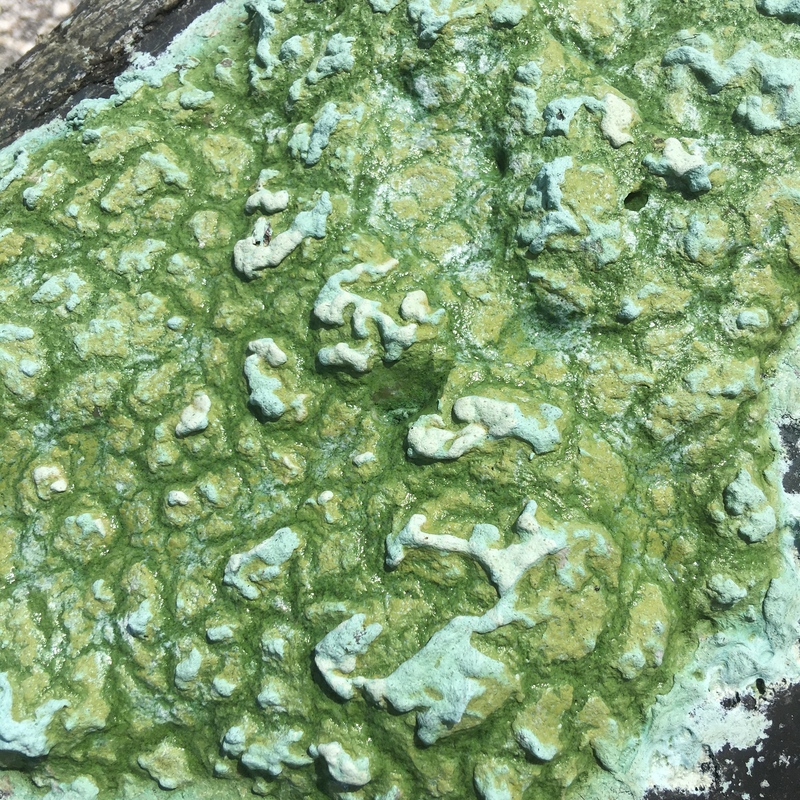 The Florida land boom was in full swing, swamps were becoming real estate, and the connection of the St Lucie Canal from Lake Okeechobee to the South Fork of the St Lucie River officially occurred forever changing the health of the area rivers. (1923) The canal, although primarily an outlet to control for the “southerly overflow” waters of Lake Okeechobee for farmers, was also “flood control,” and on a business level, the canal was meant and “sold” to be a trade route for shipping the riches of the interior of the state. The goal of backers of the canal was to compete with the railroads. Well the frenzy of dollar signs came to a head and in 1926. The stock market crashed, and the horrors of the Great Depression for Florida and the nation ensued. A stressed Warfield died in 1927, and Indiantown just kind “faded into history.” Dreams became memories. Life changed. Florida morphed….Nevertheless, Indiantown still sits positioned for a prosperous future. In fact, it’s waiting and ready to relive history. What do they say? “Location, location, location! ” What do you think? 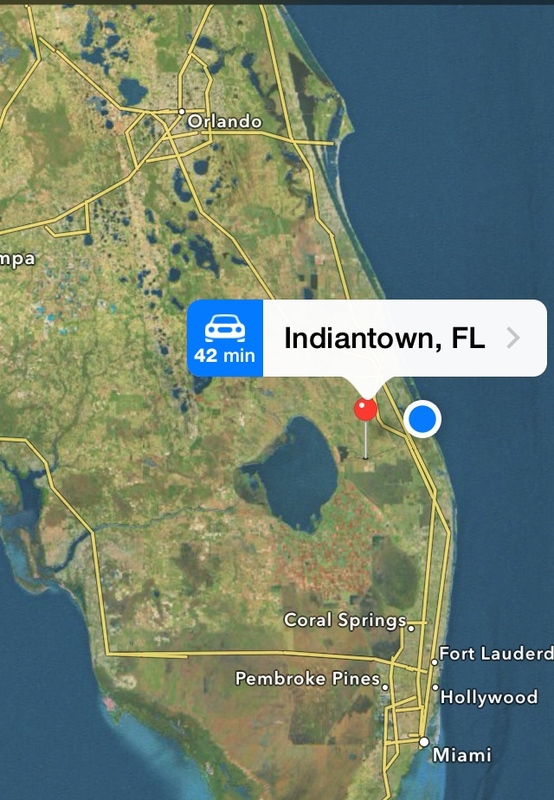 Google map showing location of Indiantown with red pin. Sewall’s Point, where I live, is the blue dot. Indiantown is 30 min from the coast and conveniently located along Highway 720.